Summary: Graphic novel in which fiction and reality blur as Colin Hall investigates a possible paranormal phenomenon in which people have disappeared without a trace. It looks amazing! It has blog-cutouts, little notes and doodles, coffee stains, pictures… The look reminded me a bit of those “bet you didn’t know these facts!” books I read when I was little, which is a good thing. The idea. I’m currently reading Don Quixote for class, and we talk a lot about the way Cervantes plays with fiction and reality, and I can see Colin Hall also thought about this when writing. I liked the idea of using blogs, but for me it didn’t completely work out. 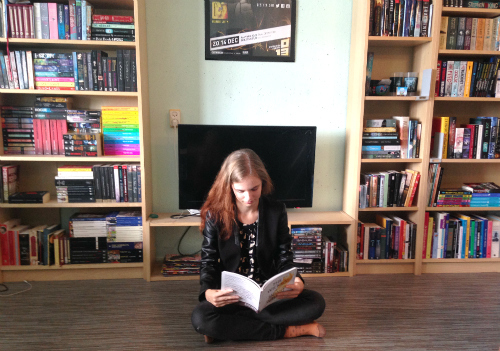 I read to get away from my computer once in a while. Too many questions, too little answers. I felt like we were going in circles again and again, not gaining any new information. Verdict: Lovers of conspiracy theory will eat this up. To fully understand what is going on, you’ll have to do some research of your own. Fact or Fiction? The Paris M6 Crashes will not be for you if you want a full narrative story with clear plot. Is this one of the 21st century’s greatest unsolved puzzles? 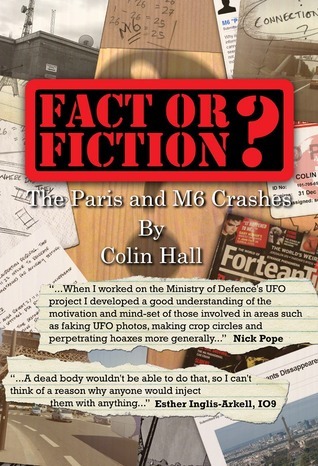 Colin Hall goes in search of answers as he tries to uncover the truth behind the reports into the M6 and Paris crashes, events that were described by the Fortean Times as ‘modern folklore’. Colin has documented the information; put forward his own theories and appeals for your involvement in this journal. Step into his world and see at firsthand what compelled Colin to investigate these events further in his quest to solve the mystery.